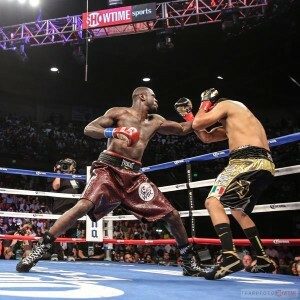 The following is the Boxing Insider notebook for the week of April 25th to May 2nd, covering the comings and goings in the sport of boxing that you might have missed. “Mano-A-Mano: The Battle for Mexico” to Air on ESPN2 and ESPN Deportes This Week Featuring Canelo Alvarez and Julio Cesar Chavez Jr. The Golden Boy Media and Entertainment production of “Mano-A-Mano: The Battle for Mexico” will air this week on ESPN 2 and ESPN Deportes as part of the lead up to the Canelo vs. Chavez, Jr.
“We are very excited to further our partnership with ESPN by having Mano-A-Mano air across the ESPN family of networks as part of the lead up to the Canelo vs. Chavez, Jr. mega fight on Saturday, May 6. We’ve had a successful start to the Golden Boy Boxing on ESPN series, and this is just the next step in what we hope to be a long partnership with ESPN” said Oscar De La Hoya, executive producer of “Mano-A-Mano” and chairman and CEO of Golden Boy Promotions. “Mano-A-Mano” goes behind the scenes of the Canelo vs. Chavez, Jr. megafight as Golden Boy Media and Entertainment takes you into the camps of Canelo Alvarez (48-1-1, 34 KOs) and Julio Cesar Chavez, Jr. (50-2-1, 32 KOs) as they prepare for their Saturday, May 6 showdown. “Mano-A-Mano” also features exclusive interviews with Canelo, Chavez, Jr., Oscar De La Hoya, Julio Cesar Chavez, Sr., Eddy and Chepo Reynoso, as well as others from around the fighters’ fight camps and promotion. American Heavyweight Champion hosted a media conference call prior to the fight between Wladimir Klitschko and Anthony Joshua. Below are a few select quotes from the conference call. “I love this fight for these guys. I love it for the sport of boxing. The fans seem to be well in-tune with it and I think this is a super fight for the heavyweight division. On what Wilder sees as vulnerabilities in Joshua..
“There’s a lot of flaws that Joshua has, but Joshua is still young in the game as well. A lot of people look at Joshua and they’re going off of his physique and they’re going off of the hype that their countryman has brought to them. “If you really look deep down and soul search and look at his resume, with all of the guys he’s fought … that sometimes makes a person look busier than what he is. There’s a lot of flaws in all of us though, to be honest. Nobody will ever be perfect in the ring. We only try to be our best and that’s the only thing you should go off of. “Hopefully. There are a lot of people that are involved in this. If it were just solely up to me then I’d be 1,000 percent confident, but it’s not just me. That’s what the fans want. I’ve been wanting to give the fans what they want my entire career. Unfortunately, I am one of those fighters that’s always getting the short end of the stick. I only can work with what I can work with. “When you have guys that are competing against each other at the top, it’s only right for me to be there. I’m not just going out there to be on Sky Sports, I am for sure going there to scout. All the other heavyweights come to my fights. They’re not just there to be a fan. They’re there to scout and look for different openings and certain signs. “I am definitely going over to scout. And maybe we can make a mega-unification bout. “I want to go get [Joseph] Parker. Parker doesn’t have an opponent right now. I’m fresh. I’m ready and what would be better than me and Parker fighting for the unification and then have another unification where winner takes all at the end of the year? Then, 2018 you can start off the year with nothing but mandatories. On Saturday, May 6, fight fans watching the Canelo vs. Chavez, Jr. superfight on the big screen will also each receive an exclusive commemorative fight poster with the purchase of a ticket (while supplies last). The Canelo vs. Chavez, Jr. poster, issued by Fathom Events, features both fighters against a Mexican flag backdrop ready to meet in the ring to settle their boxing feud once and for all. Cinemas across the U.S. will play host to a Cinco de Mayo weekend mega-fight with a pulse-pounding live broadcast event featuring two of Mexico’s finest boxers: “Canelo Alvarez vs. Julio Cesar Chavez, Jr.” in a historic showdown that will rival the biggest fights in Mexico’s rich boxing history. Former two-division world champion Canelo Alvarez (48-1-1, 34 KOs) will square off against former WBC World Middleweight Champion Julio César Chávez, Jr. (50-2-1, 32 KOs) in a 12-round battle. Presented by Fathom Events and Golden Boy Promotions, the one-day cinema broadcast is set for Saturday, May 6 at 6:00 p.m. PT / 7:00 p.m. MT / 8:00 p.m. CT / 9:00 p.m. ET, live from the sold-out T-Mobile Arena in Las Vegas. Tickets for the “Canelo Alvarez vs. Julio Cesar Chavez, Jr.” cinema event are on sale now at www.FathomEvents.com or at participating theater box offices. Fans throughout the U.S. will be able to enjoy the event in more than 250 select movie theaters through Fathom’s Digital Broadcast Network (DBN). When heavyweight immortals Muhammad Ali and Joe Frazier squared off for the third time in 1975 in the Philippines, it climaxed a bitter rivalry in a fight that many, including The Ring Magazine, rank as the #1 Fight of All-Time. Steiner Sports Memorabilia is now offering fans a chance to own a piece of history with an original promotional poster from the “Thrilla in Manila,” hand-signed by both Ali and Frazier. The “Spring Fever Auction” has over 1,600 collectibles, and this one is certainly one of the rarest. The poster is a lithograph of an original Leroy Neiman painting, and features both Hall of Fame boxers in the classic fighter’s stance. The opening bid on this piece of boxing history was $500, but after spirited bidding over the past several weeks – six bids to date – the action is at $1,302. Visit http://auction.steinersports. com/ to bid. The auction closes at 10:00 pm on May 6. Fighting as the co-main event to Canelo vs. Chavez, Jr., Former IBF Middleweight Champion David Lemieux (37-3, 33 KOs) makes quick return to the ring after spectacular knockout over Curtis Stevens in March to face tough Middleweight Contender Marco “Dorado” Reyes (35-4, 26 KOs) on May 6 at T-Mobile Arena, live on HBO Pay-Per-View. “I’m in better shape than I was against Stevens. I only took a week off before heading back to the gym. I could not pass up the opportunity to fight on the May 6th card as the co-main event for Canelo vs. Chavez Jr., while all eyes will be on us. I love the Mexican fans who always put on a great atmosphere during the fights. “It’s going to be a good fight, especially in the early rounds. We are facing a bit of a kamikaze boxer, which we must take very seriously. You have to have a good defense and a good approach. The bout will support the already announced main event that will pit Christopher Brooker (11-3, 5 KO’s) taking on Oscar Riojas (14-7-1, 4 KO’s) in a super middleweight bout scheduled for eight rounds. Conquest of Philadelphia, has a record of 6-2 with one knockout, and will be making his first start in 2017. The 31 year-old is a three-year professional, and trains out of the Joe Hand Boxing Gym under the tutelage of Wade and Randy Hinnant. Conquest has a win over Christian Molina (4-1), and is coming off a close six-round unanimous decision defeat to Victor Vasquez on August 5, 2016 in Philadelphia, and I watched his most recent fight. Perales of Monterrey, Mexico has a record of 10-9-1 with five knockouts. The 25 year-old Perales is a six-year professional, and has faced some stiff competition. He has faced six undefeated foes. Perales should be familiar to local fight fans, as he has dropped bouts to Frank De Alba and Damon Allen. Perales has been on the wrong end of his last three fights with the latest being six-round unanimous decision defeat to Hector Tanajara on March 23rd in Indio, California. Brooker of Philadelphia has a record of 11-3 with five knockouts. The 25 year-old is known for taking on anyone at anytime. The combined record of his last seven foes is a staggering 92-9-3, with Brooker winning five of those bouts, and Brooker has appeared on national television three times. Brooker is a two-year professional, who already has wins over Leo Hall (8-0), John Magda (11-0), Antowyan Aikens (10-1-1), Gabriel Pham (6-0) & former world title challenger Elvin Ayala (28-7-1). Brooker has dropped his last two bouts to Ronald Gavril (16-1) in a bout that Brooker was even on the scorecards before being stopped in the final round. On January 20th, Brooker dropped an eight-round unanimous decision to undefeated Ronald Ellis (13-0-1) in Atlantic City. That fight was shown live on ShoBox: The New generation. Riojas of Monterrey, Mexico has a record of 14-7-1 with four knockouts. The 33 year-old Riojas in a four year professional, who won his first 11 bouts. Like Brooker, Riojas has not shied from tough competition as the combined record of Riojas opponents that have defeated him are 81-1-2. Riojas and Brooker have two common foes as Riojas has dropped fights to Gavril and Ellis. Riojas is coming off a eight-round unanimous decision over Roberto Nafate on April 6 in Leon, Mexico. Philadelphia Produced 12 Olympians Since 1920! The first Philadelphia Olympians were in 1920 when 3 made the USA team. There was Sid Loog at 160, William Clark at 147 and Earl Hartman at 118. None came back with a medal from Antwerp, Netherlands. In 1928 Ray Gatsby was at 126 in Antwerp, Netherlands. No medal. Frankie Sodano was at 112 in the 1948 Olympics in the UK. No medal. Sodano was the first to turn professional and had a very good career going 49-8-1 with 22 knockouts. It took some time until “Smokin” Joe Frazier brought home the first Gold Medal in 1964 in Tokyo. 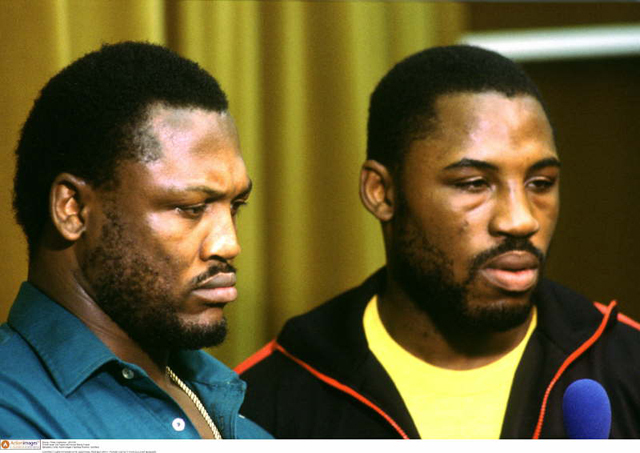 He had lost in the Olympic Trials to Buster Mathis who broke his hand allowing Frazier to replace him. He would go onto become the heavyweight champion of the world finishing with a 32-4-1 record with 27 knockouts. In 1968 James Wallington won a Bronze Medal at 141 in Mexico City. The previous year he won the Gold Medal at the Pan American Games in 1967 held in Winnipeg, CAN. He would end up his career at 79-3 winning 3 titles each from 1966 to 1968 in the AAU, Golden Gloves and inter-service tournaments. He was a career serviceman in the US Army passing away at 43. 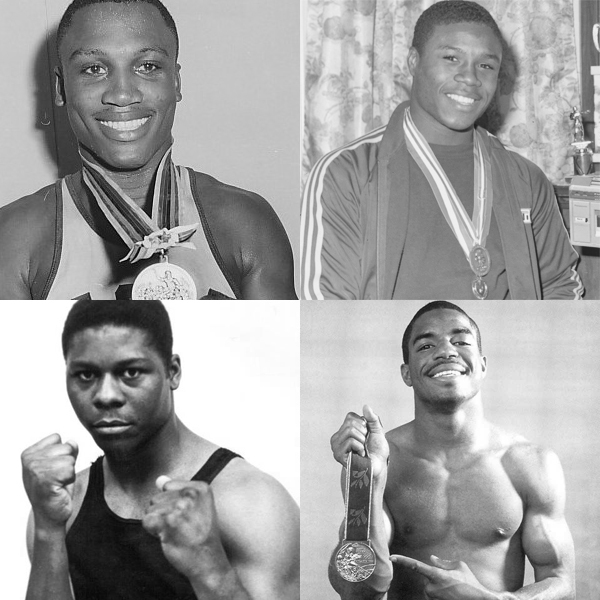 In 1984 Tyrell Biggs at Super heavyweight and Meldrick Taylor at 126 both won Gold Medals in Los Angeles. Biggs would go onto fight for the world title and finished with a record 30-10 with 20 knockouts. Taylor would become world champion of the IBF at 140 and WBA champion at 147. He finished with a record 38-8-1 with 20 knockouts. In 1996 David “American Dream” won the Gold Medal at 154 at Atlanta, Georgia. He would go onto become the WBA 154 world champion. He finished at 17-2 with 7 knockouts. Also in the same Olympics was Zahir “Z-Man” Raheem at 119 who would later turn professional and finish up at 35-3 with 21 knockouts. No medal. In 2004 Olympics at Athens, Greece, Rock Allen represented the USA at 141. He won numerous amateur titles and turned professional posting a 15-0 record with 7 knockouts before a car accident ended his career. No medal.